Take one look at social media or step one foot into a department store and you will quickly realize, as if you didn't already know, that we live in a self absorbed world. Everything about our world screams ME ME ME! This me attitude is easy to fall to and is reflected in all we do. Even our marriages struggle with selfishness. We want our way and we want it when we want it. We seek happiness by putting our own wants and needs ahead of everyone and everything. Yet we forget that there is a joy that comes with putting others first. Jesus Himself modeled this idea of putting others first in His earthly ministry. When He was with someone, He was with them. He gave them His attention and His love. When we live self absorbed, we miss out on those who need encouragement. We miss out on relationships and love. We just miss out. In her brand new book Listen Love Repeat, Karen Ehman encourages us to embrace backwards living, listening for "heart drops" -hints from those in our lives who need encouragement -and then reaching out to them in practical and doable ways. 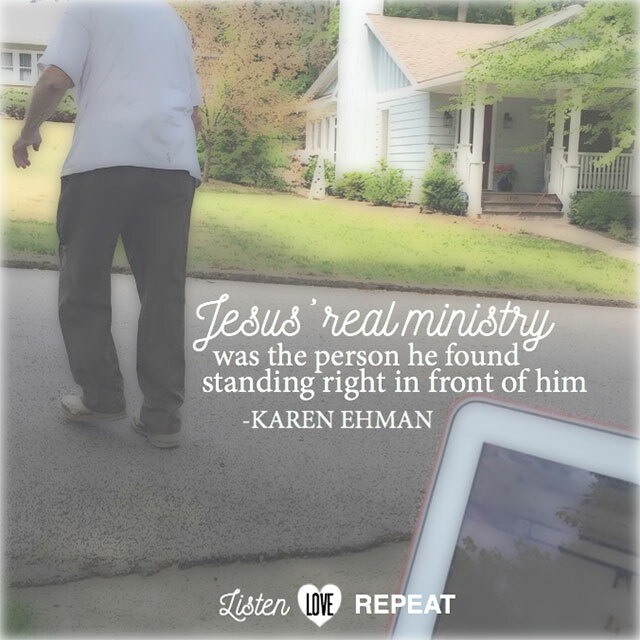 In Listen Love Repeat, Karen shares practical ways and Biblical truths that will encourage you to place others first. She reminds us how simple acts of kindness go a long way, she calls it scattering kindness. Karen doesn't just give us a list of to-dos or rules of things not to do. She shares real life stories in a way that feels like your sitting down and having coffee together. You will love it! Not only does Karen offer this incredible book, there is a companion study guide with DVD that you will enjoy. In this six session video Bible study, she helps you rediscover the life changing joy with putting others first and encourages us that the key to moving forward in almost every facet of your life is to embrace backward living. It's time to open our eyes, our ears, our hearts and our homes and be present with those around us. 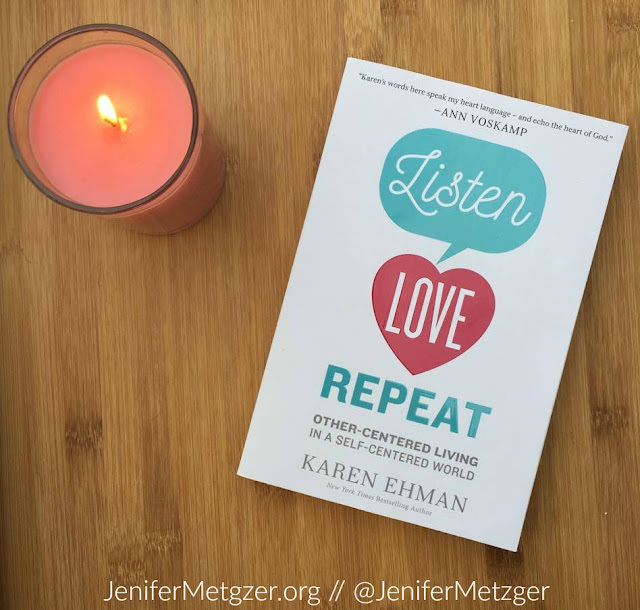 To enter to win the Listen Love Repeat book AND study guide with DVD, complete each task in the rafflecopter below. I love blessing other with little gifts that are unexpected. I cup of coffee, a little present for the baby when I come over. Fresh baked cookies when I stop by, little things to make someone smile.